The goal of Intergenerations is to be the Cape and Islands' most complete online resource to older adults and their caregivers for referrals to community supports, educational resources concerning health and health care, and providing the tools needed to access help when it is needed. 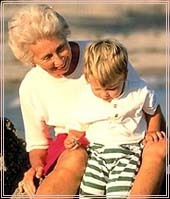 Intergenerations is linked to the finest and most up-to-date medical resources available. These databases can provide the health care professional with immediate access to current information on their respective professions. Want to know the immediate differences between Medicare, Medicaid and the services they provide? Have questions as to how to evaluate an Alzheimer's unit in a nursing home? 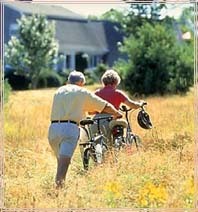 Are you curious as to how to access retirement centers or rest homes; and do you know their differences? Do you know the how to evaluate a home care company in your area? Intergenerations can help a person answer these questions, and easily. Intergenerations has been designed to be easy to use, but we respect the opinions of others in offering comments to refine the service the directory provides. The people behind the scenes of Intergenerations make every effort to ensure the directories' quality and accuracy, as key to this effort. As you tour, and utilize the site, if anything appears inaccurate, let us know so that the change can be made immediately by e-mailing Intergeneration at intergens@cox.net. No directory is useful if outdated, especially in the ever-changing world of both health care and the Internet. Each address, and every link in Intergenerations is checked on a bi-annual basis in an attempt to further maintain the integrity of the directory. Alternately, you can post anything related to either the directory or information you found, or are looking for, in the Community forums section of Intergenerations. Intergenerations is divided into distinct sections: Community Care Options, Health Care Facilities, Retirement Communities, Elder Resources and other services. Community Care Options are services designed to keep an Older Adult living independently in the community at his or her home. Health Care Facilities are organizations with an ability to provide medical care on some level to a person while residing at their respective facility. Retirement Communities are separated from Health Care Facilities and Community Care Options, since many other individuals residing there consider the Retirement Community to be their home, while at the same time, offering expanded health care services. Elder Resources are primarily resources that are informational, social, or organizations providing counseling, medical equipment, or the sale of other services useful to older adults and their family members. 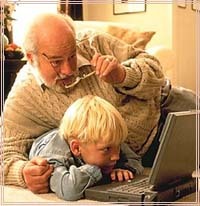 All links on Intergenerations have been reviewed for quality, and are considered some of the web's finest. Links for medical information are throughout the directory, but the most utilized, tend to be found in the physician section of Intergenerations. . Many of these links are health related home pages that the staff of Intergenerations found most useful. Tour the site and let us know if you have a useful health care link and we will review the Home Page as soon as possible. Intergenerations employs a variety of writers who provide monthly articles on their respective field of expertise. Intergenerations is open to any article provided, as long as it is appropriate to the home page, and the writer has proven to research the article, as well as prove their expertise on the topic presented. Intergenerations would not exist without its sponsors. Sponsors share in a common respect for what Intergenerations offers. Throughout the directory, you may find small lighthouses next to an organizations's name. Click on the lighthouse, and go to their home page to receive additional information on what they provide the Cape and Islands. By doing this, you will show them you support their effort in supporting this directory. "Expanding the Vision, . . ." Intergenerations was created to push the limits of what a resource directory could provide any single person. Computers help us - and their speed and domain appear limitless; but they cannot, nor should they ever, replace the caring another person can provide when our physical health changes. ". . . Giving Shape to Life."